High Court finds Department for Work and Pensions unlawful on universal credit assessments. In a test case victory for a group of working lone mothers, on 11 January 2019 the High Court found that the way the Department for Work and Pensions (DWP) has been assessing income from employment through its Universal Credit (UC) work assessment periods is unlawful. Lord Justice Singh and Mr Justice Lewis ruled that the DWP has been wrongly interpreting the universal credit regulations. The judicial review case, brought by solicitors Leigh Day and Child Poverty Action Group on behalf of four lone mothers, challenged the rigid, automated assessment system in universal credit which meant the mothers lost several hundreds of pounds each year and were subject to large variations in their universal credit awards because of the dates on which their paydays and universal credit ‘assessment periods’ happened to fall. The mothers all had monthly paydays that ‘clashed’ with the dates of their monthly universal credit assessment periods, with the result that if they were paid early some months, because their payday fell on a weekend or bank holiday for example, they were treated as receiving two monthly wages in one assessment period – which in turn dramatically reduced their UC award – and as receiving no wages at all the next month. This is a problem which has affected many working claimants and has been widely reported in the media. This flaw in the system has denied working parents the additional financial support that they are entitled to so as to help them in work and ensure that work always pays. 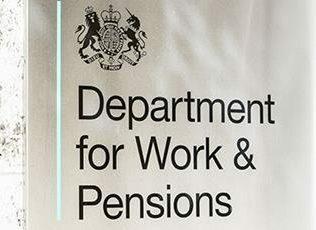 During the court proceedings the Secretary of State argued that despite the hardship being caused, the way in which income was being assessed was lawful, it made sense given the automated nature of Universal Credit and that this was an issue which employers should remedy rather than the DWP. Tessa Gregory, solicitor from Leigh Day who represented the first Claimant, Ms Danielle Johnson, stated: “My client is a hard working single mum doing her very best to support her family. “They have each ultimately questioned why they are even working. A version of this article appeared on Leigh Day’s website on 11 January 2019.